All Globular Proteins are tertiary proteins. These have consisted with a small helix and elongated structures with considerable length and small cross-sectional area. In the Globular protein formation, few of the bonds are involved. They are Hydrogen bonds, disulfide bonds, hydrophobic interactions, and ionic interactions. This is a very compact three-dimensional structure, the wound has previously viewed and secondary structures of the segments without secondary structure. 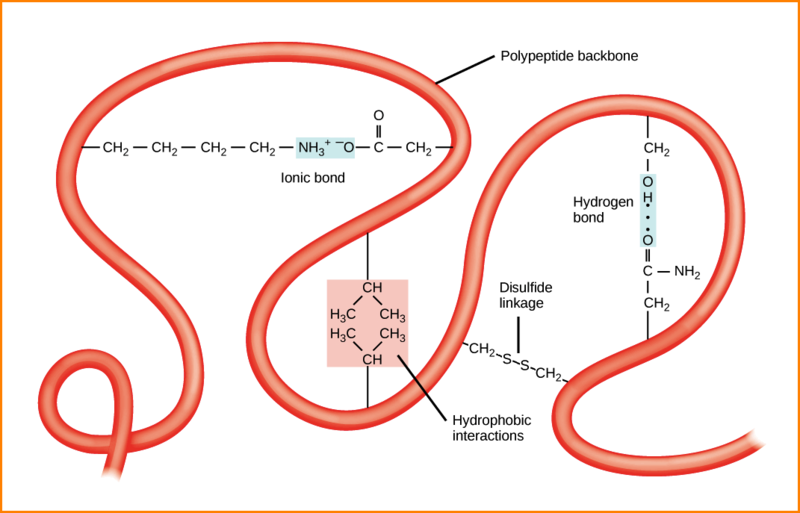 There is also the ionic interactions, the hydrophobic interaction (stronger in the center of the protein), hydrogen bonds stabilizing folding, and disulfide bridges. “In proteins, the spatial arrangement of amino acid residues that are far from each other in the linear sequence, as well as the pattern of hydrogen bonds, disulfide bonds, hydrophobic bonds and ionic bonds”. The tertiary structure of proteins involves the folding of the helices of globular proteins. It refers to the spatial arrangement of amino acids that are far apart in linear sequence and to the pattern of disulfide bonds. The dividing line between the secondary and tertiary structure is, hence a matter of taste. X-ray crystallographic studies have revealed the detailed 3D structures of more than 300 proteins. What are the stabilizing forces involved in the Protein organization. These were created after the completion of three-dimensional protein folding and have a key role in maintaining the tertiary structure. The biologically active form of Globular Proteins is in the Tertiary structure, which is in three-dimensional conformation. The best example of Tertiary Structure of Proteins is Myoglobin (Muscle Respiratory Pigment) and Ribonuclease (RNA digestive enzyme). These are formed by interactions between nonpolar hydrophobic side chains by eliminating water molecules. This serves to hold lipophilic side chains together. These are the attractive forces between opposite charges or repulsion between two similar charges. Positive charges are produced by the epsilon amino group of lysine, Guanidinium group of Arginine and imidazolium group of histidine. Negative charges are provided by β and γ- carboxyl groups of aspartic acid and glutamic acid. 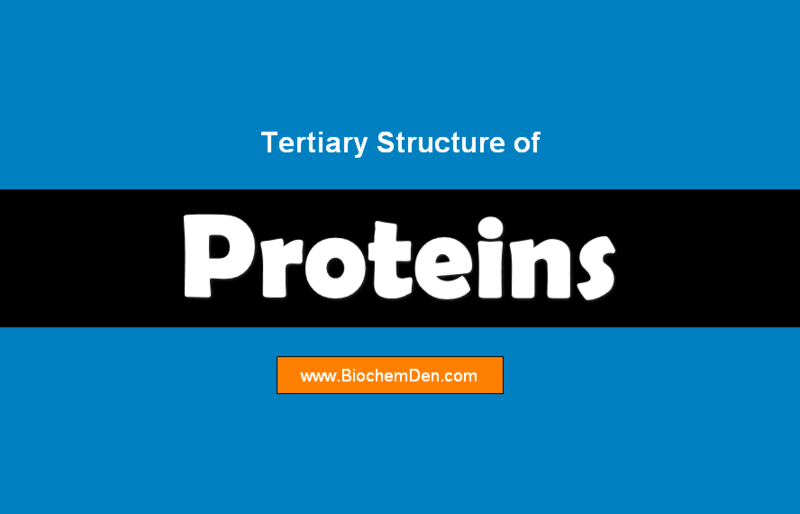 The tertiary structure of proteins involves the folding of the helices of globular proteins. It refers to the spatial arrangement of amino acids that are far apart in linear sequence and to the pattern of disulfide bonds. The dividing line between secondary and tertiary structure is a matter of taste, X-ray crystallographic studies have revealed the detailed 3D structures of more than 300 proteins. The accurate three-dimensional structure could be produced only by the correct folding of the protein; this is assisted by Chaperones inside the cells. Incorrect folding may produce altered proteins, which is the basis of prion diseases. 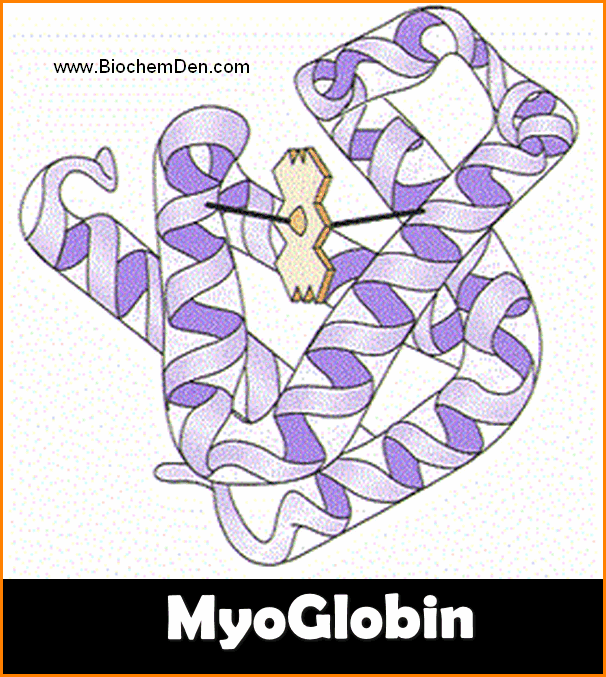 Myoglobin is one of the best examples of the tertiary structure of protein. The molecular weight of the Myoglobin is 16,700. The shape is Oblate, Spheroid shape and leaves little empty space in its interior. The structure is accomplished by John C.Kenrew in 1972. 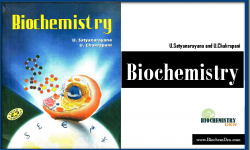 It is a single polypeptide chain of 153 amino acid residues with a single prosthetic iron-porphyrin (heme) group. The heme is responsible for the deep red-brown color of myoglobin. 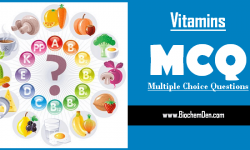 The function os myoglobin is Oxygen storage in Muscles. 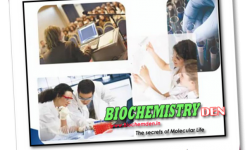 The molecular weight os the RNase is 13,700. 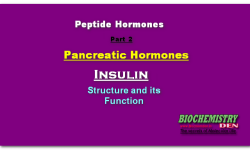 It consists of 24 amino acids units contained in a single polypeptide chain with 4 disulfide bridges. 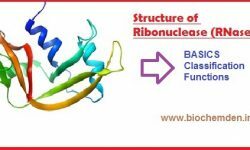 What is RNase? What is the importance in living things?